Take the time to enjoy the best of Milford Sound on this leisurely nature cruise. Exploring the length of the fiord you’ll learn about the history of the region and benefit from the knowledge of a specialist nature guide. Experience the cool spray of a waterfall and move in close to sheer rock faces or watch out for dolphins, seals and, in season, the rare Fiordland crested penguins. A Milford Sound Nature Cruise has a flexible itinerary that gives you plenty of time to enjoy the scenery and take in the highlights. 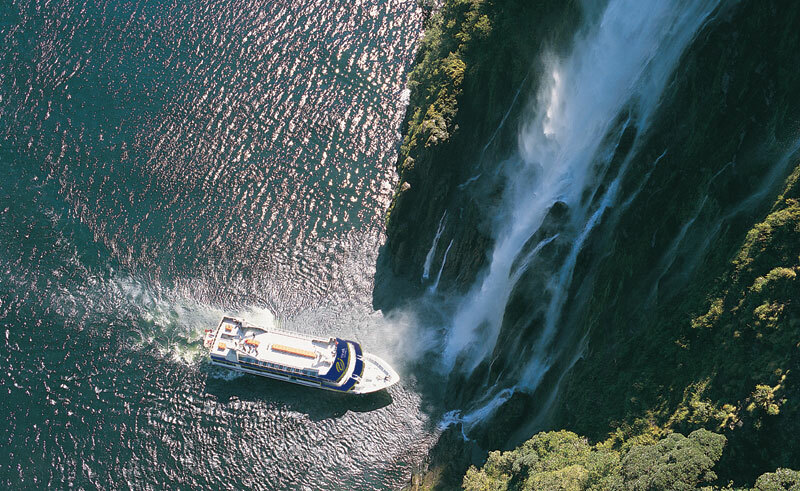 The experienced skippers tailor the cruise to take into consideration weather and recent wildlife sightings, ensuring you’ll see the best that Milford Sound has to offer on the day. A nature cruise is the perfect way to experience what’s been called the “eighth wonder of the world”.